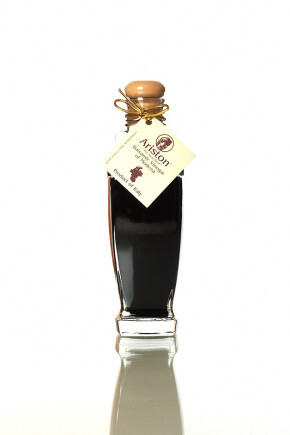 Ariston Fig Infused Sweet Premium Balsamic 8.45 fl oz | Ariston Specialties | Greek for the "Very Best"
When must of the finest Italian grape is being fermented with 100% Italian Red Wine Vinegar, and savory figs, only one thing can happen… A sweet, rich in flavor and color, fruity balsamic vinegar. 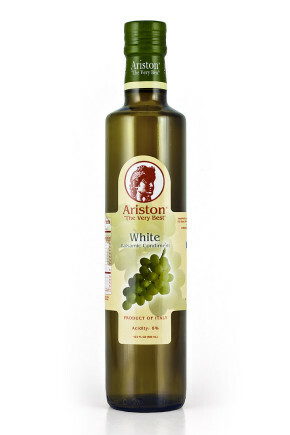 After maturing Resting in OAK barrels, it builds a sweet balanced zest and some slight aromatics of oak, only to become a small delicacy in our every day table. Grape type: Lambrusco, Trebbiano, Sangiovese, Ancellotta, Albana, Fortana, or Montuni. 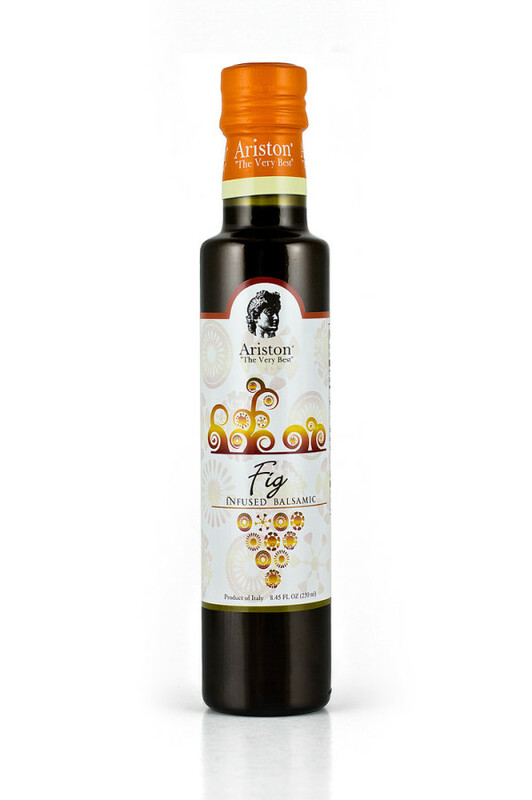 Flavor Profile: Sweet with balanced zest and slight aromatics of oak and a natural essence of savory figs. 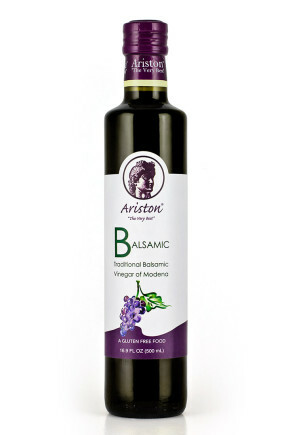 Food Pairings/ Use: Great for dressings and salads. Pairs beautifully with mozzarella and goat cheese starters. 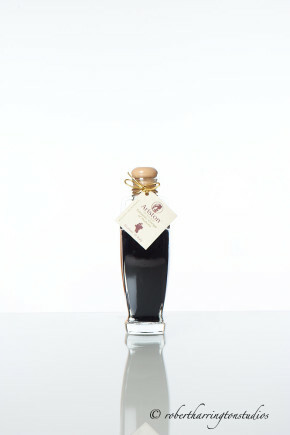 Also used for Chicken or Beef roast marinades, or even fruit cakes with a twist. You have to try this! Unbelievably good. The fruit flavor really comes through. Try it over baked brie. An excellent combination, and well balanced. Try in a salad with dried fruits, walnuts, and goat cheese.